I like to cut and paste: Great Impressions Friday Fun! 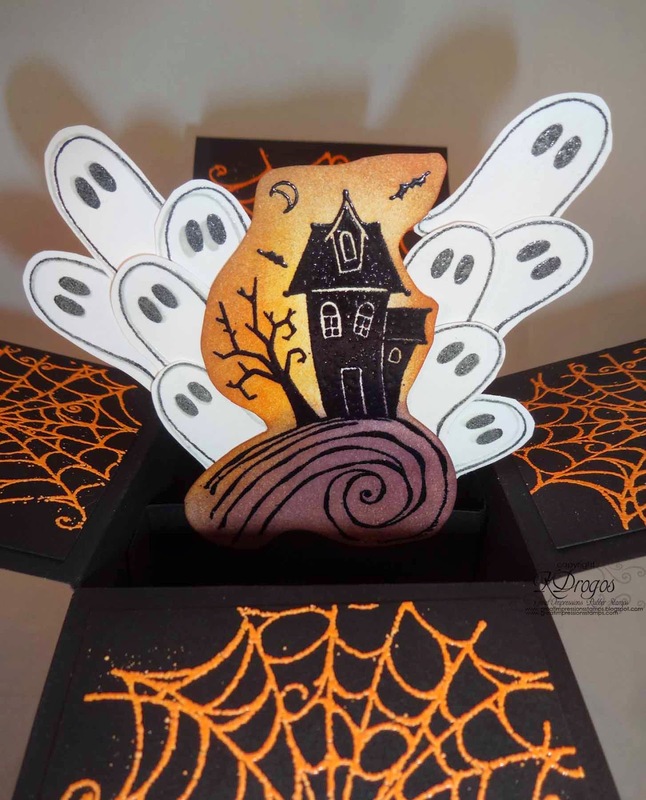 It's my turn over at the Great Impressions Blog to show you a fun Halloween card. 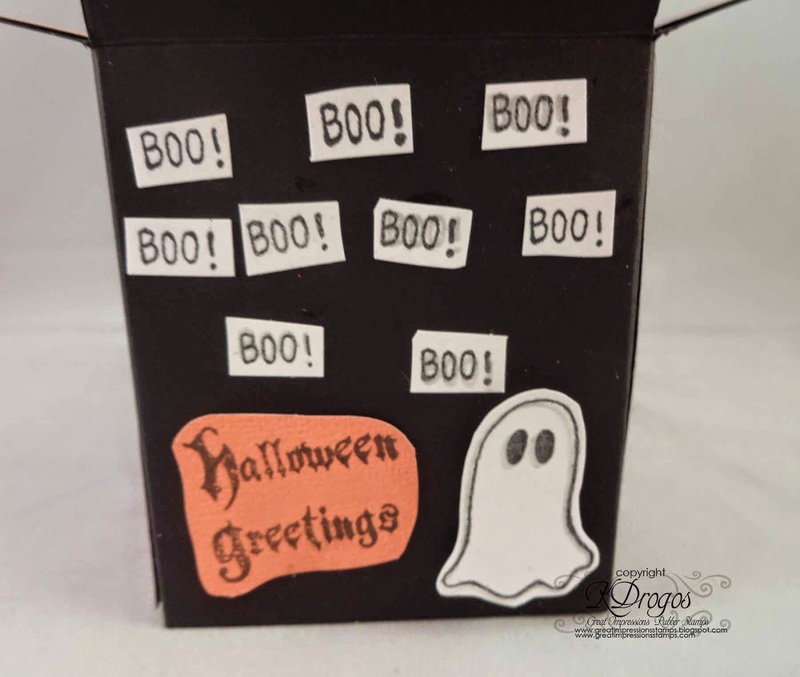 I thought about how fun to do a pop card! 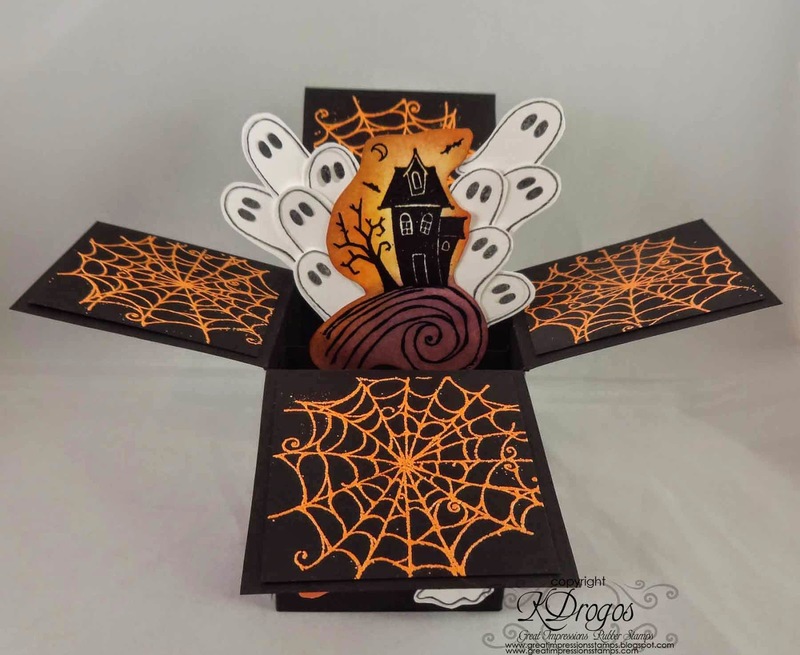 The measurements for this card can be found here.  This is a spooky close-up of the ghosts and the haunted house. 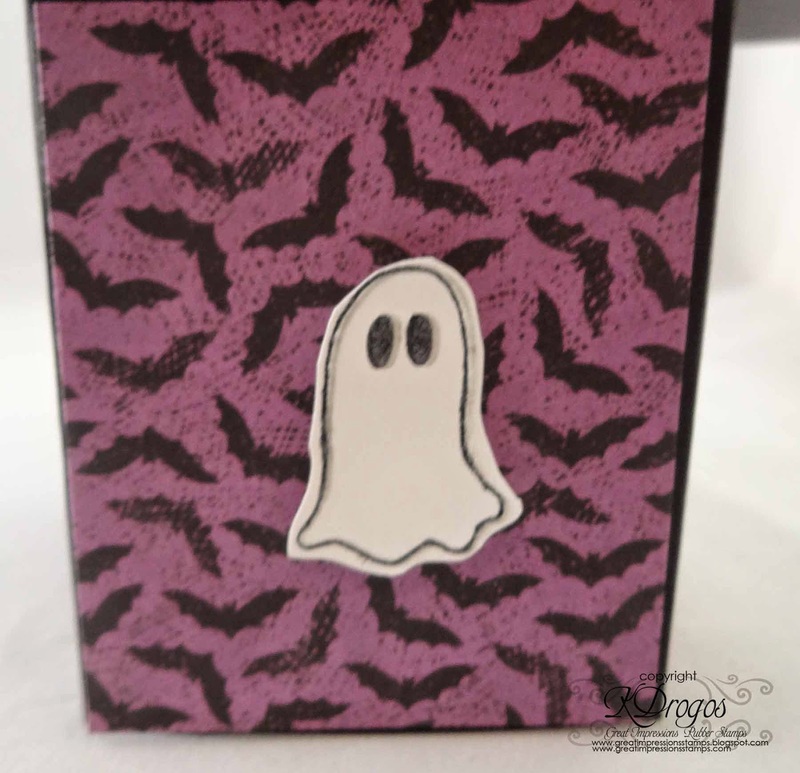 I used the following Great Impressions Stamps for the pop up card. 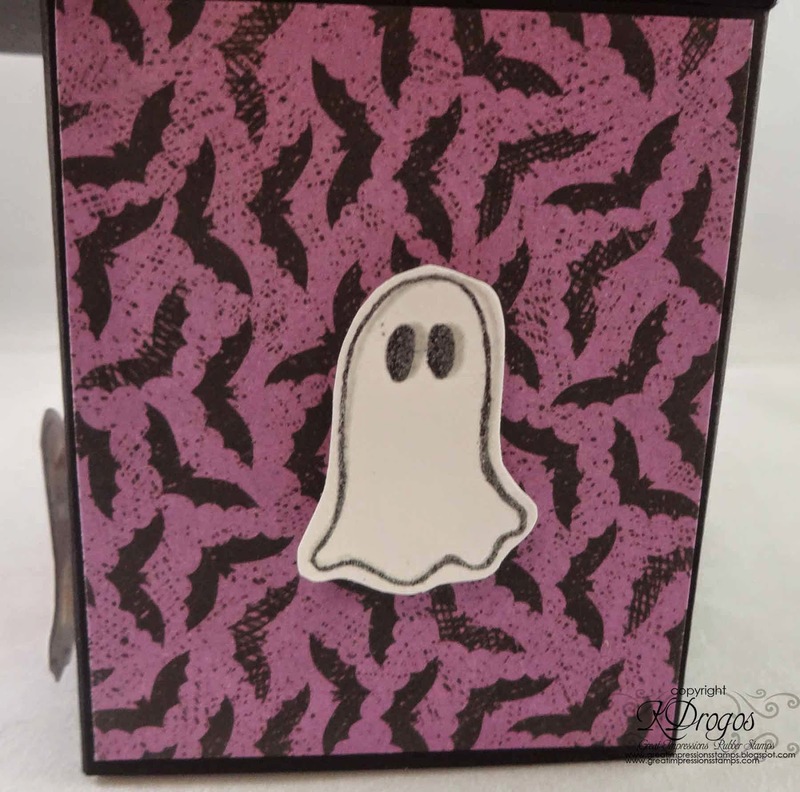 These little "boo's" come from the little ghost stamp. Here is a close up of the front. 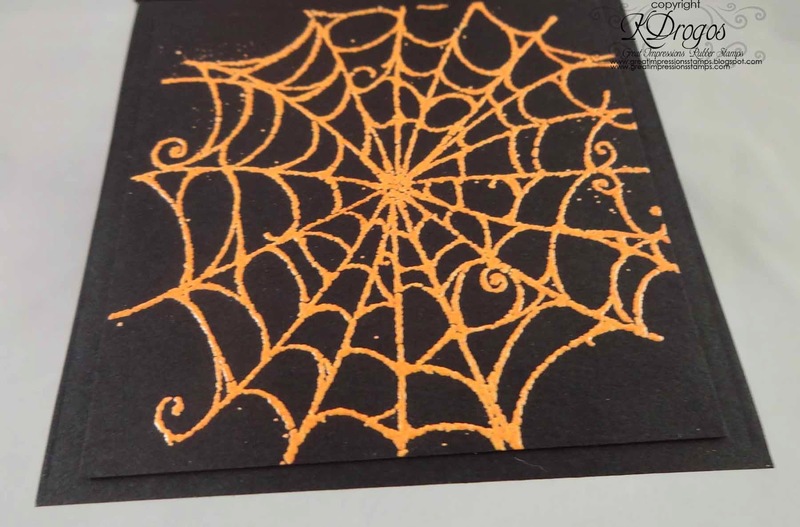 Here's 1 of 4 spider webs that were embossed with orange embossing powder. Here is one side of the box. Sooooooo fun! LOVING all the ghosts!!!!!!! wow this is just BURSTING with cuteness..